← Making Felt Acorns. . . A Great Fall Activity! 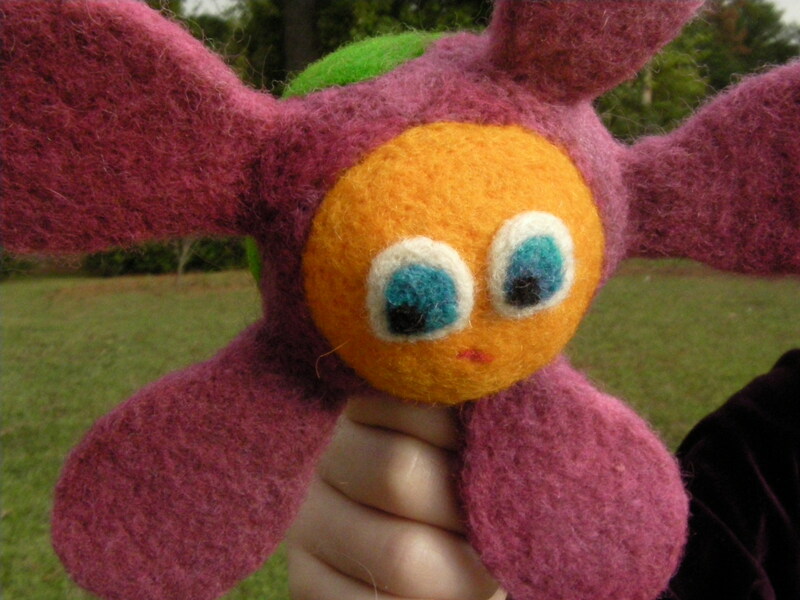 Felted Rattle . . . It resembles a silly little flower! 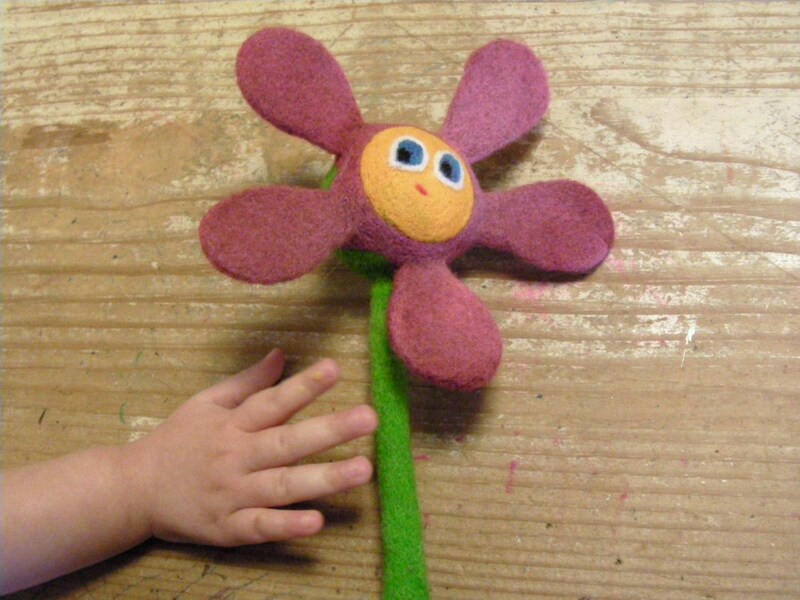 This felt flower rattle is so much fun to make and play with. 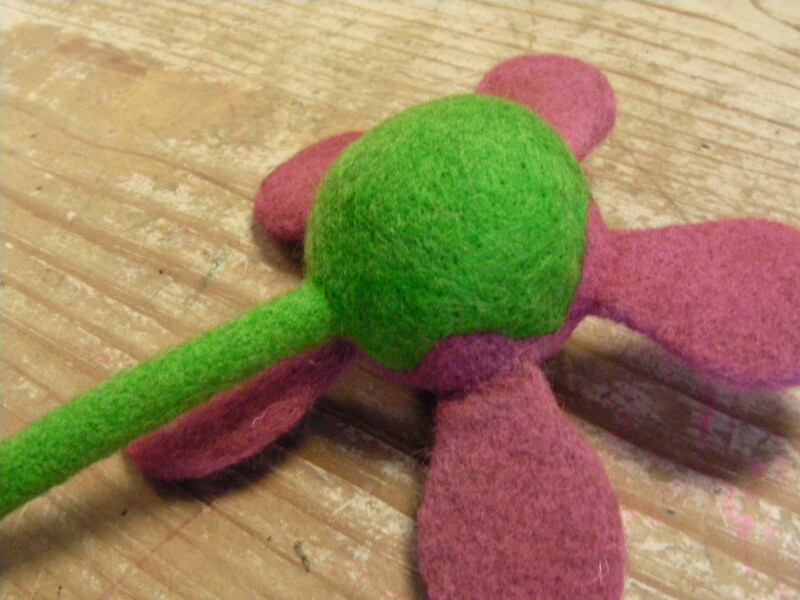 The green stem is constructed around a pipe cleaner and the flower rattles as you move the toy from side to side, up and down, or around. I wanted my littlest baby to be the model for showing the rattle in action; but she is way to squirmy for that. Plus, she was covered in food from breakfast this morning. A bath and pretty dress just to get a cute picture? Come on! Below, you can see her egg coated hand reaching for the flower rattle as I attempted to take a shot. At least, she is intrigued by the happy little flower. So, my 6 year old helped me with the outside photos. She really seemed to enjoy this toy. The wind blew through her hair as she vigorously shook the rattle to and fro. It was such a cute sight. Rattles aren’t just for babies anymore. The flower stem is slightly bendy. So if you hold it near the top of the stem it stays upright, and if you hold it near the base of the stem the heavy flower head flops right over. It’s so cute! And of course, I couldn’t resist taking a photo of it amidst my blooming mums. 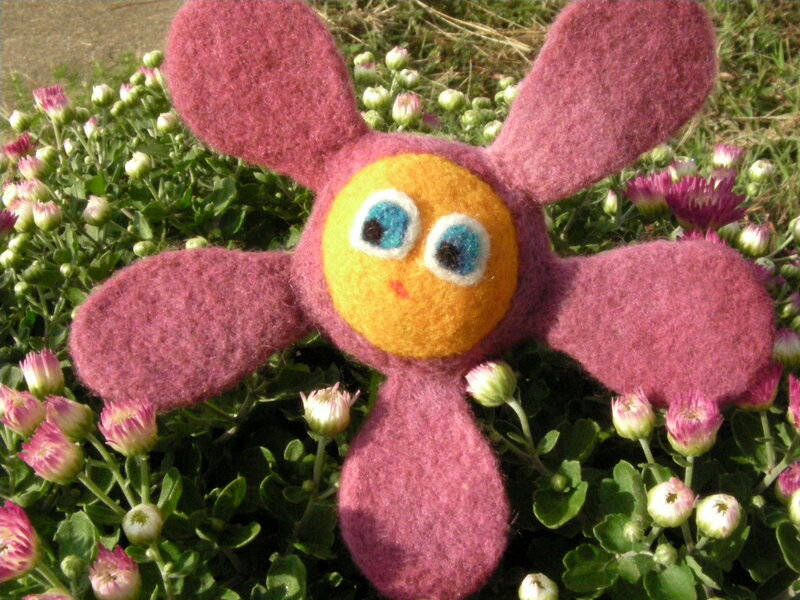 It is shaped nothing like a mum and mums don’t have silly faces, but the color fit perfectly and the outdoorsy setting definitely suits this natural wool toy!